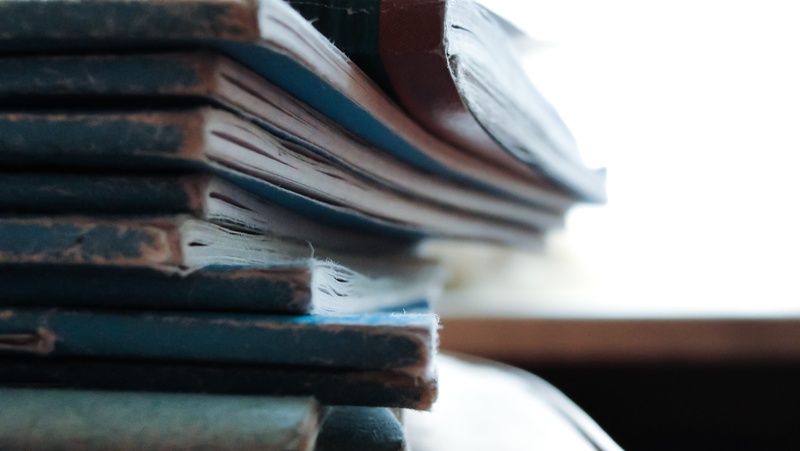 This next and final post in our Email Marketing 101 series (Writing a Strong Subject Line, Best Times to Send, Email Service Providers, Message Content) covers how to effectively build and segment subscriber lists. It is crucial to constantly be adding subscribers to your lists and to tailor your messages to them accordingly. Email marketing is one of the cheapest, most cost-effective solutions to stay in touch with prospects and clients. Almost everyone has an email address now, so you have the opportunity to be able to reach a huge amount of people with your messaging. However, inbox clutter is on the rise and this has caused people to become increasingly more sensitive to unwanted communication. Because of this, you need to develop your subscriber lists with relevance and care. When you do send an email, make it worthwhile for your audience to read it! With this in mind, fresh contacts should constantly be added to your lists. These contacts should be new, but should also be relevant. While increasing the number of contacts on your lists is important, you still need to consider your audience. Adding contacts just for the sake of adding contacts does no good for your business or your brand. This is the reason that you should never purchase email lists. These contacts are not strong leads and your messages to them will appear as spam. This only hurts your brand in the long run. It’s okay to add referrals to your lists, but be sure to do so with care for the same reasons. Some email service providers allow you to import a large number of contacts at one time and to have a variety of lists to segment your subscribers. Feel free to use multiple of these places to collect email addresses, but be cognizant that it may become overwhelming or annoying to your audience. A segment is a collection of subscribers based on common qualities. These qualities can include the amount of their engagement activity, their location, and how far along they are in your sales pipeline. It is often effective for financial advisors to segment their client base by business professionals, pre-retirees, retirees, those going through a life transition (i.e. divorced, widowed), etc. You are able to filter and group subscribers based on any criteria that you choose, but the goal is to target each segment and provide them with the most relevant content possible. Tailoring your message content to specific types of users allows your campaigns to feel like a personalized conversation. 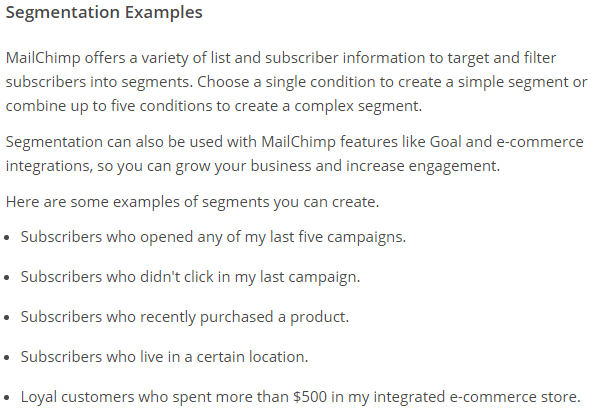 Some email service providers have recommended segments such as these to help you target subscribers. It is important to remember that segmenting your email lists serves no purpose if you send everyone the exact same email. The more that you customize your message content, the more relevant and valuable it will be to the reader. It is recommended to segment your email lists first then develop messages to fit each segment. Also, use caution when considering to put someone on more than one of your lists. Too many emails can overwhelm or annoy contacts and cause someone to mark you as spam. 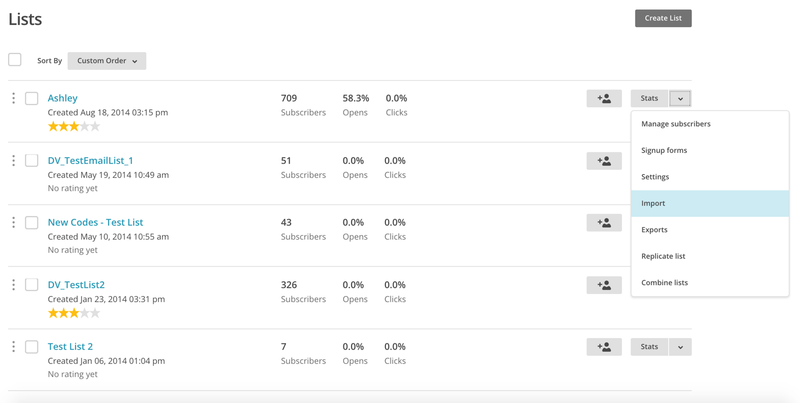 This post aims to provide you with some additional insight into building and segmenting your subscriber lists and we hope you that enjoyed our Email Marketing 101 series! Be sure to check out the other posts in the series: Writing a Strong Subject Line, Best Times to Send Campaigns, Email Service Providers, and Message Content! Check out some of our other latest posts on the blog: Our History and Future Direction: a Q&A with our Founders and How Virtual Reality Will Change Financial Planning. Sign up for a live product demo or attend an upcoming free marketing webinar here.